The project ‘Interdisciplinary Innovations in the Study of Religion and Gender: Postcolonial, Post-secular and Queer Perspectives’, which ran from 2012-2015, was an international research and networking project. 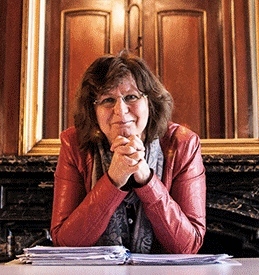 It has been initiated and coordinated by Prof. Anne-Marie Korte as chair of Religion, Gender and Modernity at the Faculty of Humanities, Utrecht University (the Netherlands) and has brought together international research institutes and participants from throughout the field. The project was funded by the Netherlands Organisation of Scientific Research (NWO) in the programme Internationalisation in the Humanities. This project aimed to make an innovative contribution to the further development of the interdisciplinary study of religion and gender from a range of contemporary critical perspectives in the humanities: postcolonial criticism, post-secularism and queer theory. In order to break new grounds in the understanding of these complex dynamics of religion and gender in our contemporary world, this research cooperation project explored the current major challenges to the study of religion and gender, to identify the fundamental critical issues, and to address these in innovative ways and from an interdisciplinary perspective. To this end the project has brought together a selection of leading scholars from internationally renowned research institutions with excellent programs in the field with the objective of developing research project proposals and grant applications and establishing a structural research network for the study of religion and gender. As part of the project, three workshop-conferences have been organized, each resulting in a special issue of the journal Religion and Gender. Outcomes of this project have been published by various participants in international journals as well as in further research proposals. This project has resulted in the founding of the International Association for the Study of Religion and Gender (IARG) in February 2015 and the establishment of the journal of Religion and Gender.